What are your plans for Valentine’s day this year? Do you celebrate this day somehow or do you think there is no need for that? In my country Valentine’s is not a big deal. And my husband is quite happy with that. Just kidding, he would probably surprise me with flowers or chocolate like every year. But we don’t really do big gifts and all the incredibly romantic movie-like stuff. I think there is plenty of occasions we can enjoy ourselves without sharing the romance with other hundred people. I mean c’mon guys, all these pretty places exist throughout the year too. But we usually do have a nice dinner on Valentine’s. And a dessert. At least me. I actually always tend to have a space for dessert after good dinner. This year we will spend Valentine’s day in the Austrian mountains (www.kitzsteinhorn.at) and I am really curious to see if we’ll find some place to have dinner or if we will just hang out in the rented apartment. However I didn’t rely on finding a good restaurant in Austria and made a good dinner AND dessert at home few days earlier. Just in case, you know? This Chocolate Avocado Banana Mousse is something you can just whip up in matter of minutes after dinner but still very exquisite. 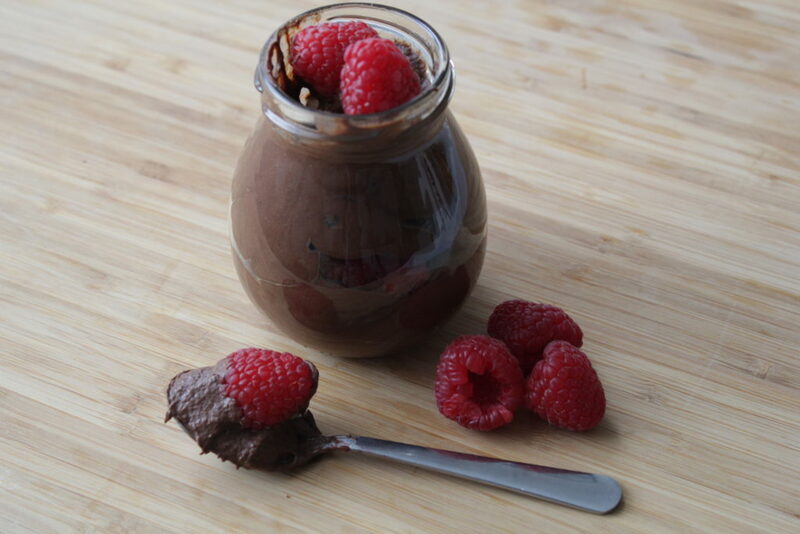 This Chocolate Avocado Banana Mousse is a dessert rich in flavor but so easy that you can whip it up in a matter of minutes after dinner. Gluten and dairy free. Peel the avocado and banana and place in a blender. Melt the chocolate with a teaspoon of ghee on a low heat and let it cool. Blend the avocado and banana to a smooth texture. Just few pulses are enough, more you'll blend it, the more runny it will get. Place the mixture into a bowl and add the melted chocolate and cocoa powder. Stir it in with a spatula. 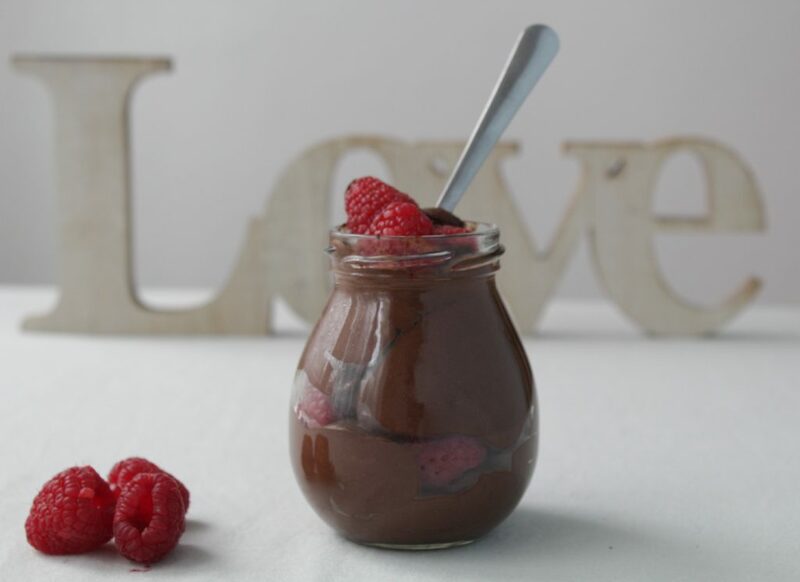 This mousse pairs great with forest fruits or banana. You can also add 2 tablespoons of sour cream or coconut cream at the end to make it more creamy. You can also use the mousse as frosting. See my Chocolate Raspberry Cupcakes with Coconut Flour and Avocado Frosting. Hi, I'm Dasha and I love food. A lot. But I've decided to look more into the things that I put on my plate and eat for a better health. Of course without skipping the flavour. So if you are also looking to make few healthy changes in your life, but don't wanna give up taste, I'm happy to share my tips. 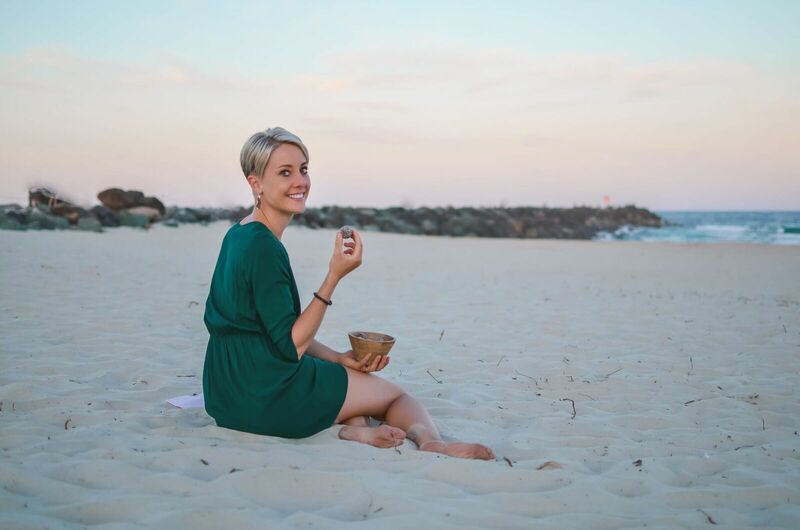 On this site you can find real food recipes (mostly paleo and low carb) as well as few travel tips and insides into my life journey.